Over the past few years, I have been writing the intellectual property chapter for the Colorado Bar Association’s book Annual Survey of Colorado Law. 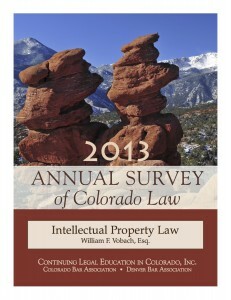 While the book focuses on Colorado law, the intellectual property chapter tends to be dominated by federal developments. This year’s publication is now available for download (for a nominal fee) in its entirety or by individual chapter from the CBA-CLE website: [Link]. For extra credit, how many birds can you find in the picture? There was a humorous moment recently during oral argument at the Federal Circuit when Judge Plager suggested that the advocate for the appellant might want to replace Tang with bourbon in the analogy being posited: [Listen]. To listen to some other humorous moments at the Federal Circuit, click on the “Humorous” category link. Limelight has filed its Reply Brief in the Supreme Court case of Limelight v. Akamai. This case deals with the issue of divided infringement. The oral argument is slated for next Wednesday. You can read Limelight’s Reply Brief [here]. The US Patent and Trademark Office released the ninth edition of the MPEP in March. A summary by the PTO of the changes is available here: [Summary]. The searchable version of the MPEP is available here: [Searchable MPEP]. 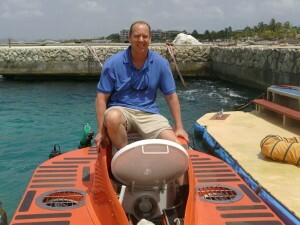 I was on vacation last week doing some scuba diving in the Caribbean. But, I took some time off to try and better understand the phenomenon of “submarine patents.” This little mini-submersible takes people down to a depth of 1,000 feet. 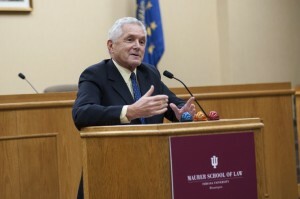 The Supreme Court heard oral argument in the case of Alice v. CLS Bank on March 31st. You can download/listen to the entire oral argument here: [Listen]. The briefs are available here: [Briefs]. REBUTTAL ARGUMENT OF CARTER G. PHILLIPS, ESQ. on behalf of the Petitioners: [Listen]. You are currently browsing the 717 Madison Place blog archives for April, 2014.